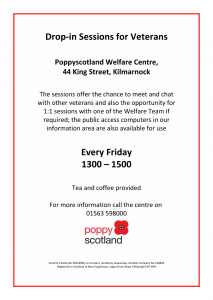 Sessions offer the chance to meet and chat with other veterans and also the opportunity for one-to-one sessions with a member of the Welfare Team if required. The public access computers in our information area are also available for use. Tea and coffee provided. The midnight leagues are led by Vibrant Communities staff. They provide an opportunity for young people to engage in informal, but at times, structured football sessions. The midnight leagues are offered FREE to participants across seven different venues and are supported by local police.